Thomas E. Braniff (financier) with his brother, Paul Revere Braniff (WW-I pilot) founded Paul R. Braniff Inc (a combination flying school, aircraft parts supplier and airline). On June 20, 1928 passenger service began on a 116-mile route between Tulsa and Oklahoma City OK. In April 1929 Braniff was sold to Universal Aviation Corporation (conglomerate cross-country air-rail network). A new independent Braniff airline operation was incorporated on November 3, 1930 under the name of Braniff Airways with Tom as president and Paul as secretary-treasurer. Throughout the 1930's Braniff Airways expaned its route system. AM-50 was awarded to BA and on October 15, 1940 it began flight service between Houston to Corpus Christi and San Antonio TX. In 1946 WW-II was over and Braniff made plans to open routes to South America. President Truman who didn't like Pan Am's monopoly in South America prompted the CAB to grant Braniff the rights to fly to South America. Braniff Airways became Braniff International Airways. On May 12, 1982 Braniff Airways ceased all operations, ending 54 years of service in the American airline industry. Braniff resumed operations on March 1, 1984 after being reorganized with financial aid from the Hyatt Corporation. It merged with Florida Express in 1988 but sought bankruptcy protection canceling all flights on September 27, 1989. 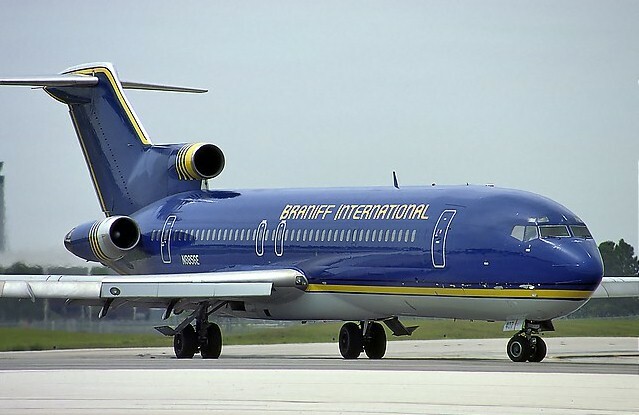 Again Braniff resumed operations for a second time on July 1, 1991 but shortly afterward on August 11, 1991 filed for bankruptcy and ceased all operations.